I really want to get back to rping a lot more and so I want to get back into the groove by getting two new clans up. 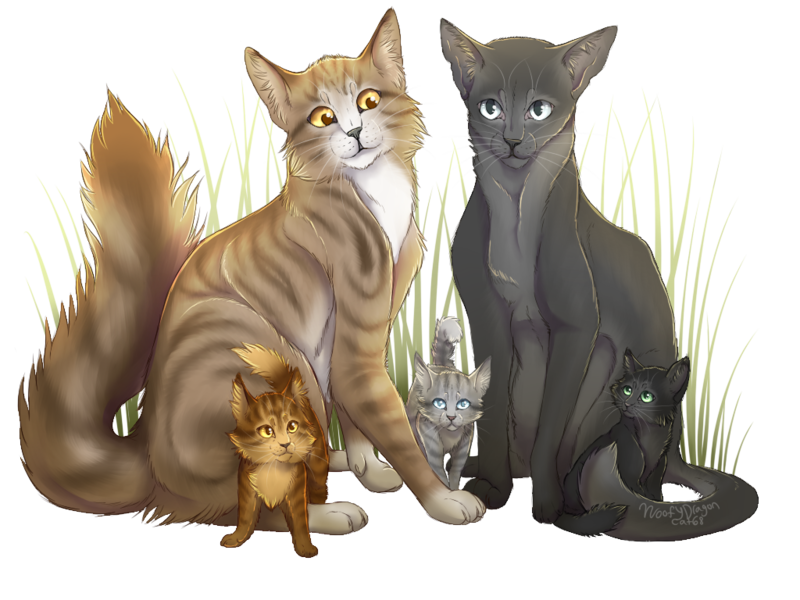 I was thinking of having this start with cats in a two-leg place coming together and such to build up some history and such for the clans and everything. I'd be willing to help with this, if you want! Oooh, fun idea. What if the cats are coming together in the twolegplace because the twolegs are leaving and there is no place for them. Like there are kittypets who are being left, or are leaving because they are scared. And rogues and loners that are hard-pressed because since the upwalkers are leaving, so are the prey. That's true, but it's just an idea - not an absolute. I'm sure we can think of something else! Hm... maybe the town gets abandoned but shortly after the clans are fully formed the two-legs start coming back and that leads to plot in the clan a some think of going back? Oooooo, I like that, actually! Hm. What type of area should they end up living? A mountainous area would be interesting, as it could lead to some humans not wanting to stay sometimes. Or a lake? With one clan on either side, or something. Alright! Hm, that seems like it will be hard, so good luck! Well, I'd say I'm good at coming up with names, but the question is whether or not we want to name them after their first Leaders or their territory. Or even a theme. Do you have a theme in mind? Hm... Maybe I could work on the Codes! Do you want me to leave it vague and editable? The Warriors and Medicine Cats. I can write them down or something! either way, i thought this was a really interesting idea and hope to help! Glad to have you helping iinky! i could work on history or the rules if you'd like. also, will this roleplay be normal rp? or semi-formal/formal? I'll handle the history, I have a special idea for that. I would love your help with the rules.